I truly don’t understand how people don’t like peanut butter. I mean I get how you can be allergic and all but in that case you got to at least love the smell right? I’d seriously EpiPen myself all day if I were allergic to nuts. Is there a daily limit on that kind of thing? Peanut butter can be great for you too, it’s just that normally peanut noodles are a nutritional nightmare. Enjoying some in moderation is always an option, but with this recipe I can eat a GIANT portion any time of the week. 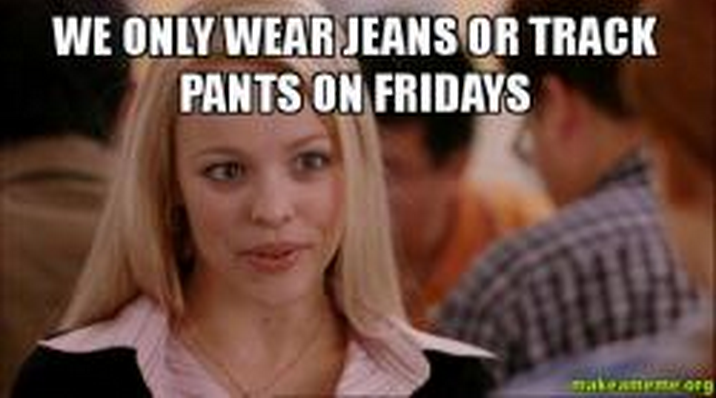 All the while I won’t have to wear sweatpants to work, because we all know those are reserved for just Fridays. Whisk together all sauce ingredients into a small saucepan. Spiralize zucchinis and cut strands with knife or kitchen shears so you don’t have any overly long pieces. Slice carrot and mushrooms and add them to your veggie pile. In a large sauce pan, heat 1 teaspoon of sesame oil. 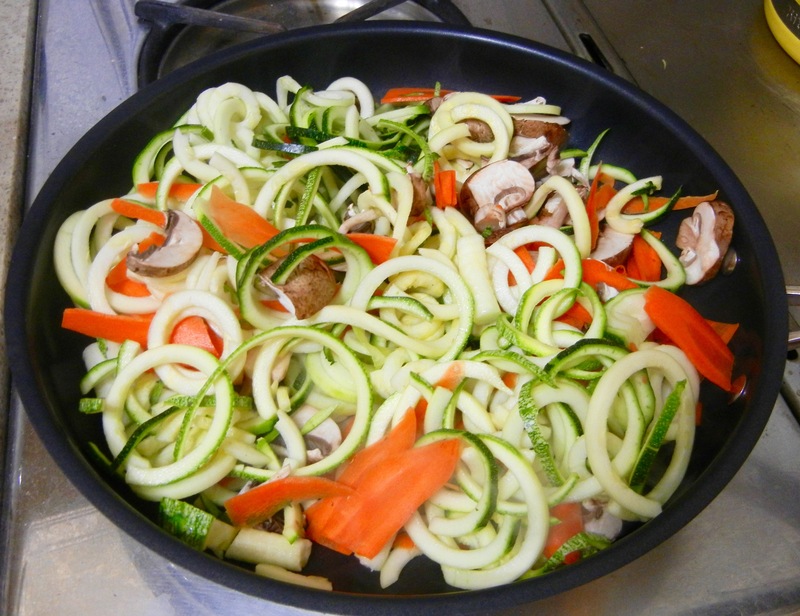 Once heated, add your zucchini, carrots, mushrooms and optional shredded cabbage. After one minute, add your precooked and thawed edamame or shrimp. 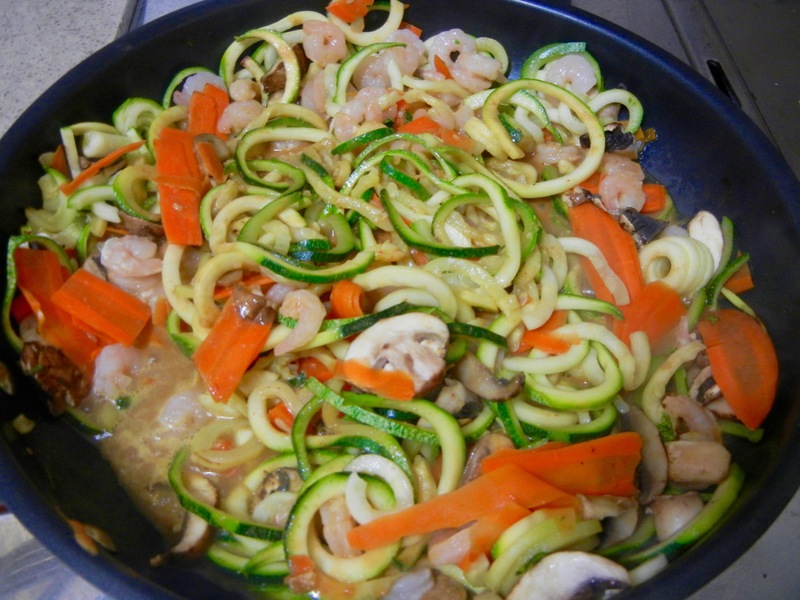 Stir around until vegetables are soft and protein is heated through. Once finished, remove veggie mixture with slotted spoon. Pat with paper towel to remove extra moisture (so sauce doesn’t get too runny). Meanwhile, heat up your peanut sauce in the saucepan for ~1 minute. You could alternatively heat your sauce in the microwave as well. 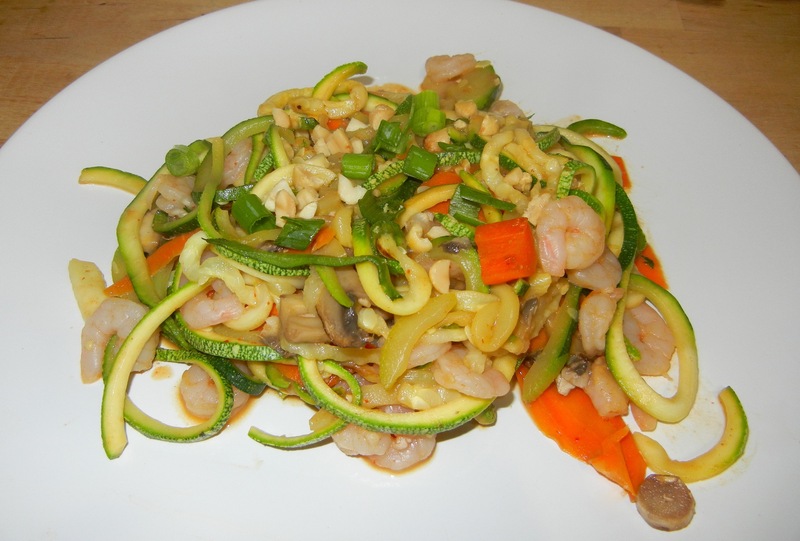 To assemble, simply pour sauce onto your zucchini noodles and toss to coat. Remove from heat and top with scallions and chopped peanuts.